We went to Berda, Holland back in 2011, the place where our relationship started to blossom. Tin had his one knee down and present the ring to Daisy in front of the house where Daisy used to live in when she studied in Breda, and in which she had a lot of sweet memories. At the proposal Daisy jokingly said that she would say yes if she get to hear ten baas from sheeps during our upcoming trip in the Lakes. Tin has been carrying Daisy in his car running for over 10km, and as it turned out, we bumped into a lamb at the Lakes which didn’t stop bleating, and Daisy obviously couldn’t back off from her promise! This is to pay tribute to the lamb that make this happen lol. Furthermore, Tin used to live in Preston which is just an hour drive from The Lakes. Every year when Daisy came from Hong Kong to visit Tin, we must pay a visit to the Lakes. It is a stunning place blending both the irreplaceable and traditional English features and the beautiful nature. Daisy love animal and Peter Rabbit story, Tin likes to drive around to discover this place. This is why it comes as the 1st choice in our mind when we need to pick a place for the most important day in our life. Tell us about your wedding venue you chose the Rampsbeck Hotel? We always wanted to look at the Ullswater area as it still preserves the natural quietness of the Lake District as we always knew. Daisy was doing the research on internet from Hong Kong and Tin drove all the way up to the Lakes to do site recce from Norwich when he lives now and talk to the hotels in details. We got down to the choice of two – Rampsbeck and Sharrow Bay. In the end, the wonderful garden and the excellent comments we have read and heard about the hotel (quite a good part came from Steve as well) have swung Rampsbeck to our favour, which turned out to be as good as we had hoped. The flowers – “Big Daisy” is the flower which comes second to none of our flower choice, obviously due to the bride’s name. Later we found out its official name as Gerbera. The Colour – We stuck with pink and purple, which in itself is only down to our preference – Pink is Daisy’s favourite colour, and we both like purple a lot as well. Since both colour mixes very well, we thought it was a good choice for us. So a mix of Pink Gerbera and purple hydrangea becomes the themed flower in our wedding. Apart from that we are addicted to the traditional English garden and vintage style of wedding. The venue of Rampsbeck has already presented the traditional English culture in a contemporary way and thus we just enhanced this style with a bit more decoration e.g. putting the flowers in some vintage tea cups. Just to keep the party in a warm and homey feeling. Lace is definite the only choice o for Daisy who are in favour of all those dresses in a vintage style but simple and elegant. During the process of picking the right dress, Daisy try on different shape and styles such as A-Line, low-cut etc, and one of the sales person askes Daisy since she’s so slim and with such a good figure why not try the mermaid dress….this is how leading to the final pick of a mermaid dress in lace. No. Actually we didn’t hear about that until now…! The one shooting us walking hand in hand at the garden of Rampsbeck Hotel along the pathway. We were looking at each other with a sweet smile. Yes, this represented that we need to walk together hand in hand in the new chapter of life from that day on when we’ve completed the wedding ceremony at the Lakes…..
Actually, a bit of internet research but nothing is more useful than getting our feet dirty and look around places and suppliers by ourselves. The wedding magazine also gives some idea of DIY wedding which can keeps a small wedding party special and memorable. The florist and cake shop just happened to be what we have found when we visited different places at the Lakes. The cake shop is the 1st one we’ve visited and we picked it straight away because of the hospitality extended by the shop owner who arrange a cake tasting for us within a very short notice. Once we had a taste of the cake we knew that’s what we want and it didn’t disappoint us. It’s a difficult question if answer has to be one only. 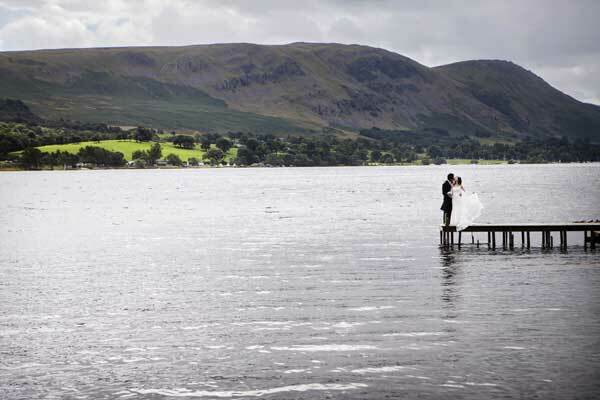 Indeed both the Rampsbeck Hotel and Derwent Photography are the answers for us. Rampsbeck Hotels is a very pretty hotel both inside and outside as they are having one of the best views of the Lakes as their natural backdrop. They have been hugely accommodating and flexible, providing great service and are wonderfully value for money. 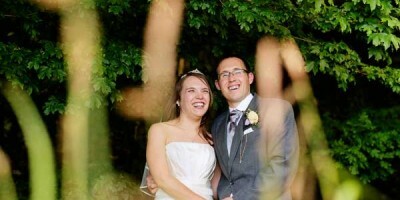 Steve of the Derwent Photography is the best photographer that we’ve ever met. He could produce some dramatic pictures that only belongs to the Lakes and to our wedding. He did not only producing stunning professional pictures but also absolutely flexible and always try his best to accommodate our needs e.g. Daisy mentioned she want a picture with the sheep inside, Steve drove all over the place regardless it was in a heavy rain to find a sheep for Daisy’s picture. Keep the wedding in the way you and your partner want it. At the end of the day, the wedding is all about the two of you, and it’s all about making ourselves happy and making the day memorable. Be enjoyable also in the process which as important as the big day. That has to be when Venice the flowergirl utter “Promise!” when she heard the registrar reading the vows for us. It is the one part that we both remember cherishly. Without a doubt, absolutely YES. Steve has been wonderful, very good at understanding what we wanted and then making that happen. We can’t be thankful enough for him to capture all those wonderful moments.